Passed peacefully last evening at Kenny’s Pond Retirement Community in St. John’s, Newfoundland and Labrador. Leaving to mourn are her sister Evangelia Govatsos, nephews Takis Papadakis and Panagiotis Govatsos, and their families, the Bartellas family, her friends in the Greek Community of Newfoundland and Labrador, her medical colleagues, and her neighbours. Sotiria completed her medical degree at the University of Athens, Greece (1958). She immigrated to the USA in 1960 completing a medical internship at Memorial Hospital, Albany, New York. This was followed by an Obstetrics and Gynecology residency in Atlanta, Georgia. She started training in Pathology at the Philadelphia General Hospital (1965), while also completing additional postgraduate medical training at the University of Pennsylvania in Philadelphia. She then immigrated to Canada and completed General Pathology training at the Halifax Institute of Pathology/Victoria General Hospital (1968) and was an Associate Pathologist at the Yarmouth General Hospital (Nova Scotia). 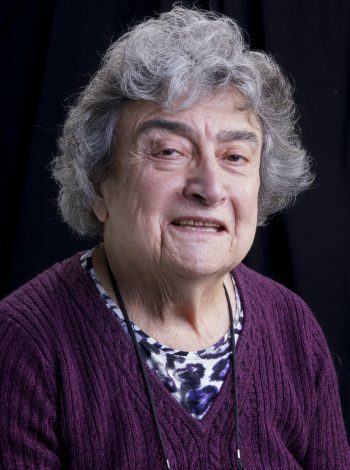 In 1969 she moved to Newfoundland and became an Associate Pathologist at the Grace General Hospital, and became Director of the Pathology Laboratory (1975), followed by Director of Laboratory Services overseeing all laboratory medicine. She was a Fellow of the American College of Pathologists, Fellow of the American Association of Clinical Pathologists, and Board Certified in Canada and USA in General Pathology. She was an Associate Clinical Professor in the Faculty of Medicine, Memorial University of Newfoundland. ‘Dr. G’, as she was affectionately referred to by many in St. John’s, was a clever woman, a devout medical specialist, an amazing cook, a dog lover, a wonderful gardener, a loving person and a lively spirit. A fierce Spartan, Sotiria was extremely passionate about Greek culture, music, food, and especially dancing! She was a most generous and loyal friend. Before Google there was Govatsos; she was a fountain of knowledge! Σωτηρία (Sotiria) means “salvation,” which is something or someone that protects you from harm. She certainly helped many in times of need. We wish to thank all of the staff at Kenny’s Pond Retirement Community for the wonderful care they provided for Sotiria in her last few years. As per Sotiria’s request, cremation will take place with no burial or funeral services. Dr Govatsos was a wonderful person, colleague and human being. I remember her fondly, bent over her microscope, and once dancing around her office in happiness. She was one of those unique individuals who enrich our lives immensely. I am so glad that I had the opportunity to know her and that I have her in my memories. My parents used to live next door to Dr. G. on Whitehorse Place and I know they had a high regard for her. They often told me of her love of her garden and her generosity in sharing the produce of that garden and her knowledge about plants . Dad in particular would chat with Dr. G at length about their gardens. I was saddened to hear of Dr. G’s passing. in the Lab at The Grace Hospital . She was a very intelligent, loyal and generous person. I remember well how she loved to sing and dance. Dr G as we called her was a knowledgeable pathologist and an excellent resource person. She was never afraid to tackle the most difficult cases and offer her help and guidance to all. She was one of a kind and will be greatly missed. I have many fond memories of Dr.G and our years at the Grace. Our paths crossed daily for many years. She was kind and considerate always, a very special person. I was saddened to hear of Dr G’s passing. She was a colleague of my mother, Marlene Hickey, at the Grace Hospital for many years. She was a lovely woman and I remember our family was invited to a feast of Greek style roast at her home one day. She devoted her life to health care in our province. Her contribution continues to be felt today. I met Dr Govatsos at Kenny’s Pond while my mother was there on the 2nd floor, my mother and I visited her in her suite on occasion and we saw her in the hallway she was very sweet and loved to chat. My mom passed away in October and I was sad to hear the news that dr Govatsos has passed away as well. My sympathies to her family and friends. I only met Dr. Govatsos this year at Kenny’s Pond. She was a lovely woman whom I loved to say hello to on my visits. My condolences to the family. I worked with Dr. Govatsos at the Grace Lab for many years. As mentioned in her obituary, she was a font of knowledge. There was never a time that I had a question she couldn’t answer. She was also very kind and compassionate to my family when my brother was dying. She was very loyal to her friends and her Grace family. She will be remembered fondly by us all. ta silipitiria mou to Family and Friends on the passing of a Great woman.